Your website has many jobs: to communicate your value proposition, to educate people about your business, to outline your features and benefits, and to capture your market’s attention. But if it doesn’t generate customers, it’s failing your business. In this webinar, conversion experts Tim Ash, founder of SiteTuners, and Dan McGaw, founder & CEO of Effin Amazing, will be doing a real-time teardown of websites submitted by the viewers. The two hosts will draw on their combined experience of over 50 years to walk viewers through the exact thoughts and processes they use to uncover conversion opportunities. Then they’ll suggest experiments they would conduct in order to improve the websites’ ability to convert customers. Anyone who attends the webinar can submit their website. Simply register for the webinar today and submit the website you’d like to be reviewed with a great reason why you should be chosen. This is an amazing opportunity to get feedback from some of the industry’s most experienced practitioners, so don’t hesitate to take part. Tim and Dan will focus on advanced strategies that impact your ability to turn website traffic into customers. After attending this webinar, you will walk away with a greater understanding of the strategies that will allow you to make sure every cent you spend on marketing has a greater chance to turn into revenue. This is not a webinar littered with run-of-the-mill micro-conversion tactics. Instead, these are the strategies that Dan and Tim have found are most effective for building a successful business — no matter the niche or industry. The thought processes of some of the industry’s most experience practitioners as they highlight conversion opportunities. Tried-and-tested conversion techniques that solve common conversion problems. How appearance, authority, social proof, and transactional assurances can skyrocket your landing page effectiveness. 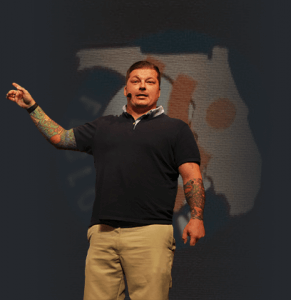 Tim Ash is the author of two bestselling Landing Page Optimization books (with over 50,000 copies sold worldwide, and translated into six languages) and founder of SiteTuners, a strategic conversion rate optimization agency with offices in San Diego and Tampa. Tim has developed deep expertise in user-centered design, persuasion, and understanding online behavior, neuromarketing, and landing page testing. 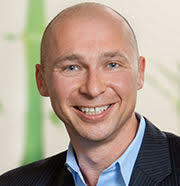 In the mid-1990s he became one of the early pioneers in the discipline of website conversion rate optimization (CRO). Tim has been mentioned by Forbes as a Top-10 Online Marketing Expert and by Entrepreneur Magazine as an Online Marketing Influencer To Watch.